Preteen Girl and Ghost Dog Story. Caro, 13. Fluffers, ghost dog. And weird Geela Gribbs. Ghost Stories for Kids. Preteen Stories. Stories about Friendship. Caro's Quest. And Weird Geela Gribbs. All in Caro's Quest . Geela Gribbs is weird. She sees a ghost dog, invisible even to 13-year-old Caro. Then a schoolmate is hurt. Who did it? What is real? 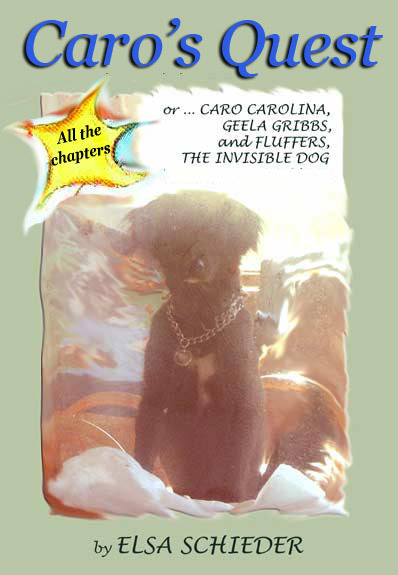 Caro's Quest: preteen girl and ghost dog story. Mystery, friendship and a search. Just what is this preteen girl and ghost dog story about? A preteenage girl - Caro Carolina, 13. A ghost dog. This could also be called also a ghost story for kids. and about making friends, real friends. Caro is asking herself questions about what is real. 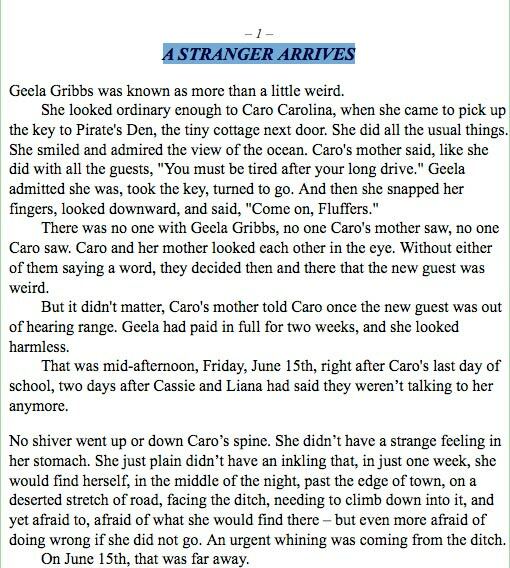 In this preteen girl and ghost dog story, Caro wonders a lot. Are ghosts real? Do ghosts exist? What about ghost dogs? If there proof? How about ghost footage? Caro can't get answers that make sense to her from anyone. One person says one thing. The next says the opposite. Ghosts exist. They don't. God exists. You must be kidding. which means god exists and doesn't, ghosts exist and don't. of figuring out what is really real. and that she could get any answer just by asking a grownup. She doesn't just wonder. She does a lot. Especially after the ghost dog comes to her in the middle of the night. Fluffers takes her to the edge of a ditch in the middle of nowhere ... and disappears. but she's never noticed him - until now. Boy girl story. Preteenage girl. Preteenage boy. A friendship story. And it's a dog story - because Fluffers, ghost dog, is above all, a dog. 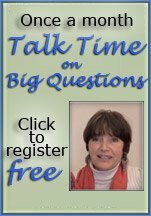 questions, mystery, a hit and run, a ghost dog, and more. a preteen girl and ghost dog story for all ages, click here. To comment on Caro's Quest, click here. To order Caro's Quest, click here.